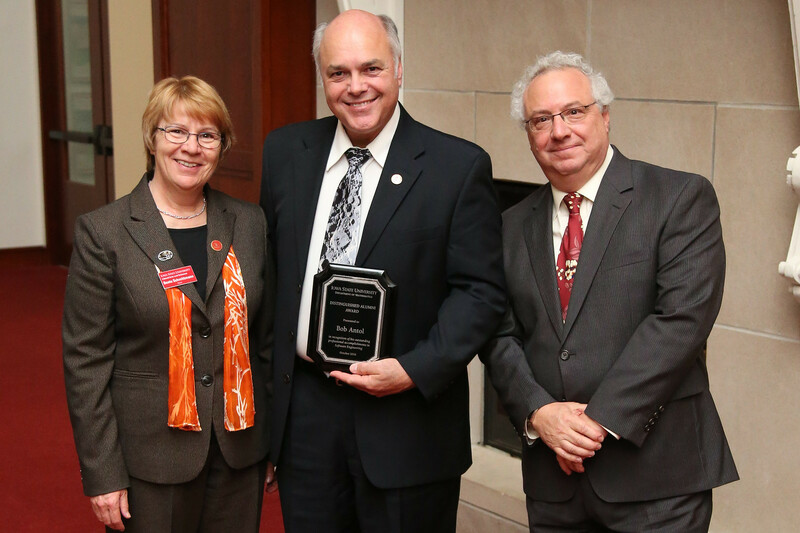 Bob Antol received the Distinguished Alumni Award in the Department of Mathematics from The College of Liberal Arts and Sciences at its annual Honors and Awards Ceremony on Thursday, October 27, at the ISU Alumni Center. The ceremony took place during Iowa State University’s 2016 Homecoming Week, which celebrated ISU pride with the theme "Leave Your LegaCY." "Homecoming is always an exciting time for us," Beate Schmittmann, dean of the College of Liberal Arts and Sciences, said. "It is a wonderful opportunity to reconnect with our alumni and friends and recognize their outstanding achievements. With more than 60,000 living alumni, it is challenging for us to select award winners each year. This year’s award winners represent some of our most distinguished alumni, and we are extremely proud to celebrate their diverse accomplishments."